Like many women in the Church, Joy Loewen didn't fully understand Muslim women or their roles in the Muslim culture and religion. In fact, she was afraid of them and not particularly interested in befriending them. But with prayer, wisdom, and a lot of love, Joy overcame these obstacles, found that she actually liked them, and that many of these women are irresistibly attracted to the love of Jesus. For the last thirty years she has used this knowledge to build authentic connections with Muslim women, reaching out to them in a sensitive, effective way. 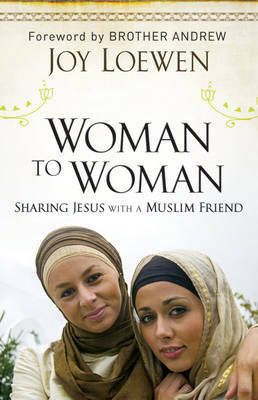 In this practical and very personal book, Joy shares not only her insights into befriending Muslim women, but many helpful stories from her own experiences. Her goal is to help readers "move from fear to love and compassion" so that they, too, can love as Christ does. Woman to Woman is essential reading for Christian leaders, ministries, and any layperson who wants to grow in love for and understanding of Muslims. Joy Loewen works with a parachurch mission organisation that reaches out to Muslims. The daughter of missionary parents, she has lived in Yemen, Somalia, Ethiopia, Kenya, Pakistan, the U.S., and Canada, and has spent 30 years in Muslim ministry. Joy speaks regularly on outreach to Muslim women at churches, seminars, mission festivals, and women's events.